After Breakfast, check out from the hotel drive to Ootty. On arrival check in to the hotel, rest of the day at leisure. Overnight stay at Ooty. 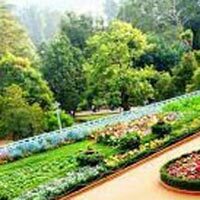 After Breakfast proceed for the local sightseeing of Ooty and back to the hotel by evening. Overnight stay at Ooty. After Breakfast check out from the hotel and drive to Kodaikanal. On arrival check in to the hotel, rest of the day at leisure. Overnight stay at Kodaikanal.